Body piercing is possibly the fastest growing form of self-expression today, and tongue and lip piercing seem to be among the most popular. But even though it’s an invasive surgical process, many piercings are done at the spur of the moment, under conditions that are neither sterile nor safe. 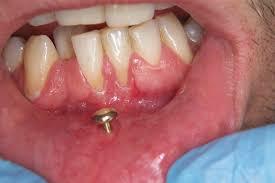 Piercing carries risks you should weigh carefully if you are considering having it done. the jewelry itself, and may even block your airway. 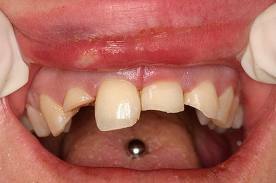 The American Dental Association, the British Dental Association, the National Institute of Health and the National Hepatitis Foundation are among the many professional organizations that believe tongue piercing carries an unacceptable risk to your health. If you choose to accept the risk and go ahead with a piercing, don’t do it on a whim. Think it over, ask questions about sterilization, procedures and the materials used. Inspect the facility in advance to ensure all instruments are fully and regularly sterilized in an autoclave, and that needles and corks are thrown away after each use. And come to see us soon after the piercing so we can check for signs of infection and tell you how to care for the wound as it heals, as well as how to minimize the damage the jewelry can cause to your teeth and gums.